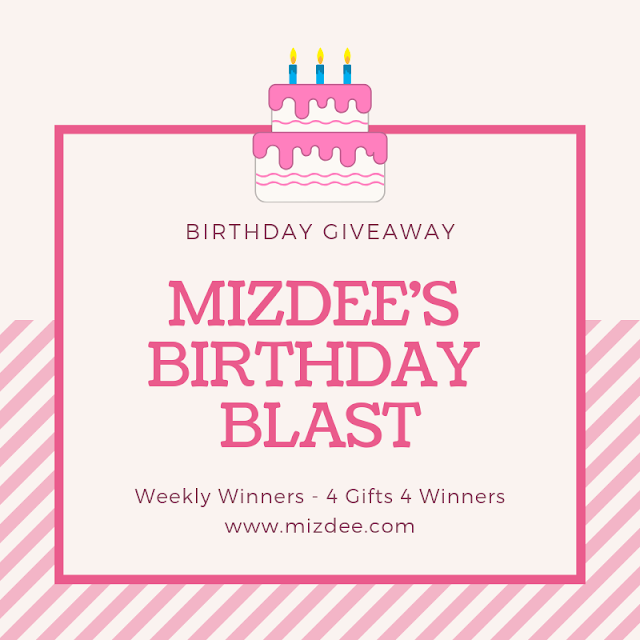 We have two products to review again and I got it from sampleroomph. 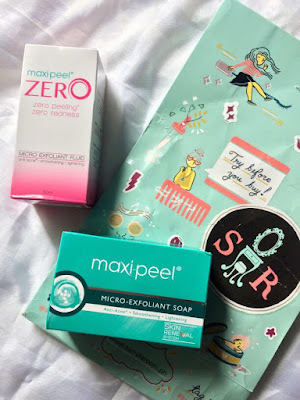 So what we're going to feature today are the Maxipeel Micro-Exfoliant Soap and the Maxipeel Zero, Zero Peeling and Zero redness. By the way, I gift it to my friend as a gift and ask her to review this product. Less assure that this product is not sponsored and we will give you 100% honest opinion. 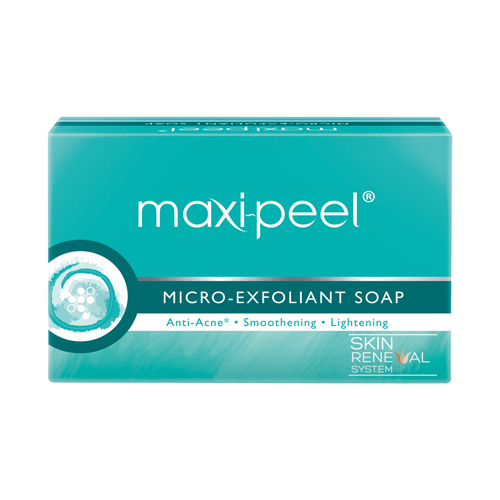 Maxipeel Micro-Exfoliant Soap. This soap works as anti-aging soap and keep our skin smooth and has the new micro-exfoliating system that removes the dead skin cell. 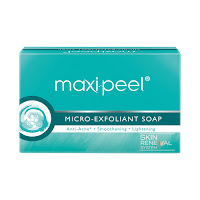 When my friend try this product, She agree that maxi-peel micro-exfoliant soap keeps her skin smooth and smells good. She even skip her daily lotion routine because it also act as a moisturizer to her skin. I also personally try the product and it is indeed gentle my skin. I didn't feel any itchiness while using it and it keeps my skin smooth and dry-free. I give it a 4 out of 5 start for the overall effectiveness to my skin. 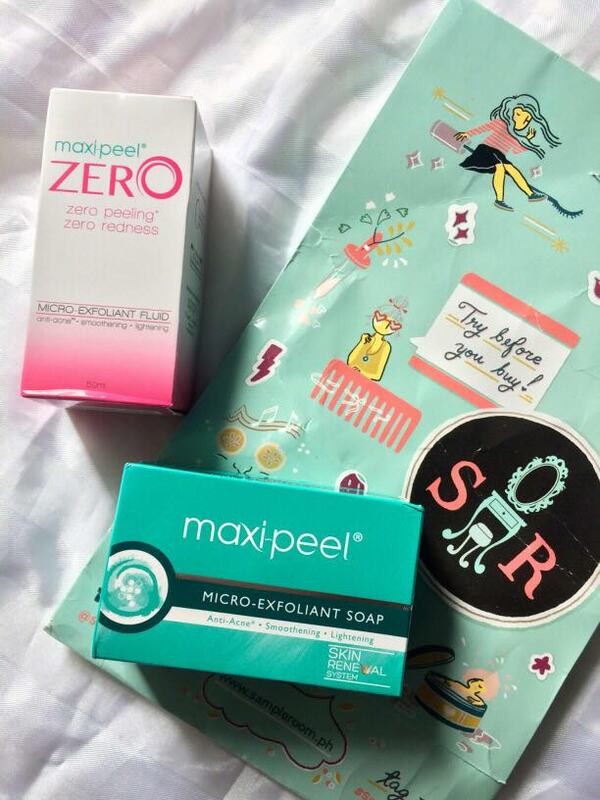 Maxi-peel Zero promise a zero peeling and redness while exfoliating our face. It renewed our skin with its micro-exfoliants and skin vitamins so we can achieve that smooth and radiant glow to our skin. As for our review, my friend didn't like it and she compare it to an ordinary toner or cleanser. It doesn't show any improvement from her pimples. She prefer the original Maxi-peel. As for me who has oily face and not a fan of cleanser, this Maxi-peel Zero is mild and more gentle to use. it really doesn't give me redness and peeling after using it. Though I prefer a bit higher dosage of alcohol because I feel it can clean my face more. For Maxipeel Zero I rate is as 3 stars out of 5. Please remember that the effect of each products will depend to our skin type, sensitivity and the amount we put with it. Products I review may or may not be give you same results as I do.